VERVE: A unique energy drink with the natural fruit remedy Mangosteen - natur-apothekes Webseite! Verve Energy Drink: healthy energy push - on requirement. For the office everyday life: A drink for a healthy energy push which fills up the body fast and which increases concentration optimally. Countless generations of islanders from the Asian-Caribbean region use the phenomenal effect of the fruit and remedy plant Mangosteen for their healthy food and as a natural remedy to the healing of all illnesses. Up to now, in the western world, however, the fruit is still widely unknown. 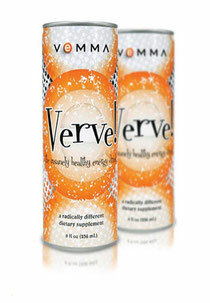 Verve Energy Drink is quite a natural energy mixture with the natural fruit remedy Mangosteen. An especially developed and patented formula for a highest possible and extremely quick bioavailability of the nutrients in the human body provides for the fact that the power of concentration and the physical well-being are restored fast and optimally. strawberry, Guarana, green tea, aloe and high-quality mineral water. milligrammes natural caffeine and mild, healthy energy.